The oil and gas industries are major drivers of technological advancement; as these industries grow, they require the most modern tools, techniques and materials in order to continue production safely and efficiently. Making sure that the machinery used in production remains free from corrosion has always been of considerable importance, with the methods of protection requiring continuous improvement as capacity increases. 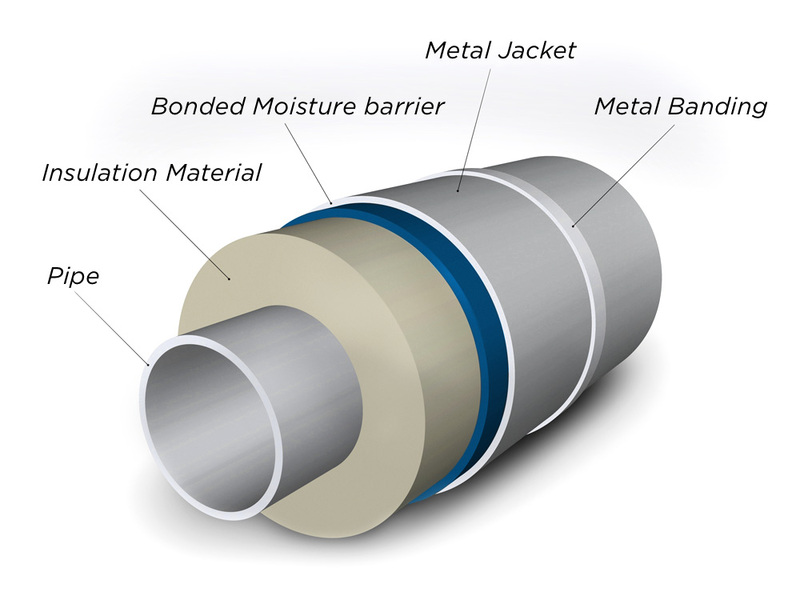 Preventing corrosion from occurring on or under metal jacketing and cladding requires the use of a barrier and the first barriers to be used were paint-based. These were largely replaced with Polykraft, a combination of Kraft paper layered onto polyethylene. Today, there is an even better option: DryMet from BS Stainless. The move away from Polykraft is almost complete, with most FEED and EPC engineers preferring the vastly-improved reliability and efficiency of Surlyn® technology. DryMet, fabricated in-house using our unique specialist machinery, further increases the versatility of Surlyn® and can be combined with a number of other coatings to suit bespoke requirements. ASTM C1729 “Aluminium Jacketing for Insulation” offers an extraordinary insight into the complex process, providing unrivalled detail. Page 2 is of particular significance, with information on DryMet-type polyfilm moisture barriers. Need further advice? Contact our team TODAY.